When I first started using a DSLR camera I was scared to death. Sure you can use “auto” and get some decent pictures but a recent goal of mine was to learn how this “manual” thing works on cameras! Now, I’m not a pro here (and I’m actually excited to take more classes next month), but I’ve found these cheat sheets for the photographer infographics very helpful when taking pics using the manual settings! I hope you’ll enjoy these as much as I do! 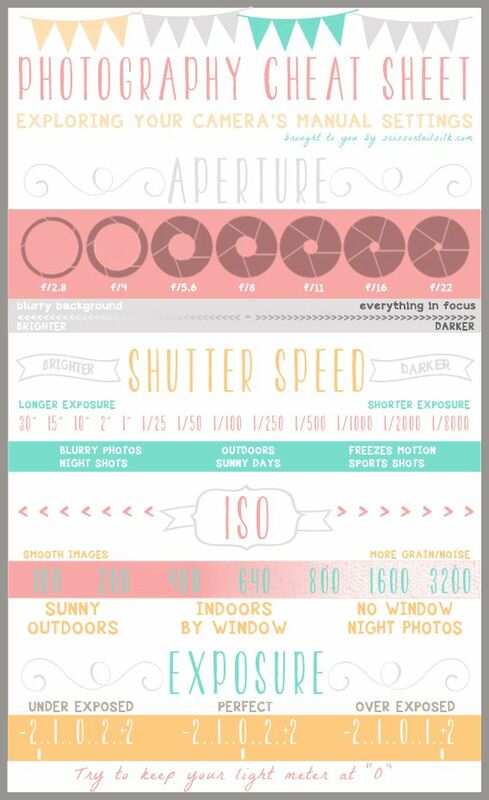 TIP: Visit each site above and print these out, laminate, and stick them inside of your camera back for easy access! I am printing these out after I type this comment and put the printouts in my camera bag. Bought my first DLSR in August and I am barely adequate at using it. These will come in handy! Thank you so much! I got a dslr for Christmas and feel totally lost with it. Almost wishing for my old point and shoot! This is a big help thank you again! Thank you for the lovely post! 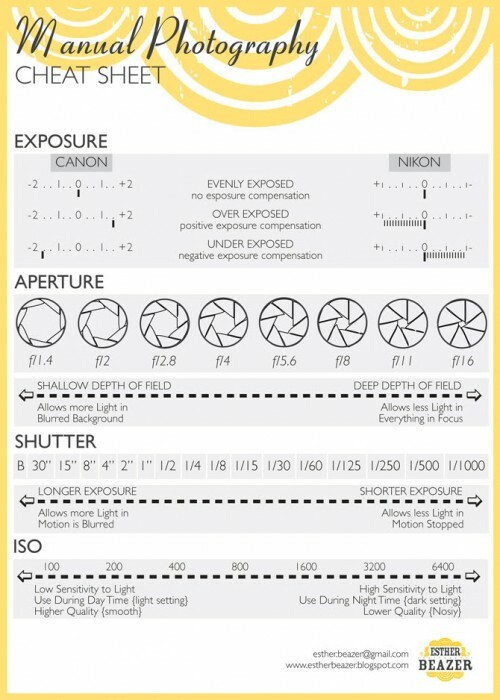 This cheat sheets are amazing! Exactly what I was looking for!! 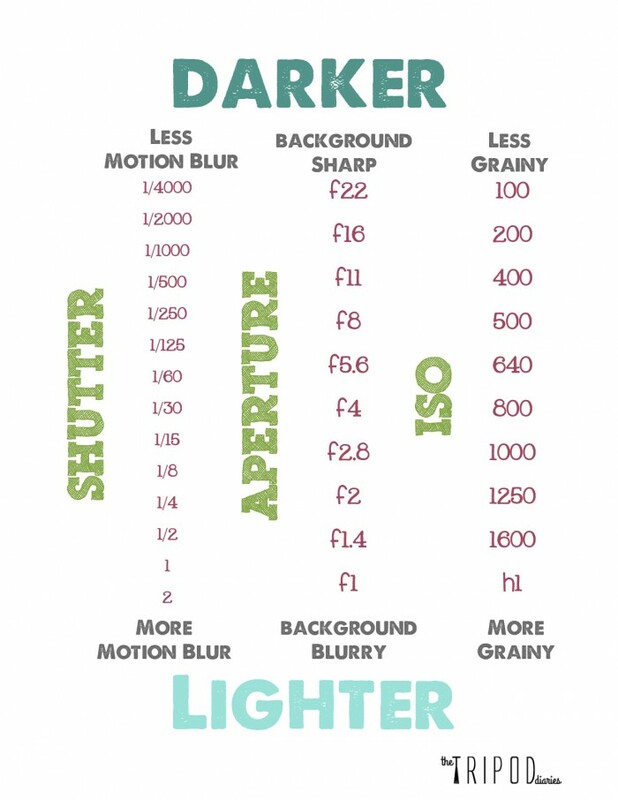 I want to improve my photography skills so baaad! Thank you so much for the cheat sheets. I am doing my first shoot for my niece that is pregnant I have searched and search for this information. Iam like you that auto is great but I have to go to manual to take the pics. Looking forward to trying these tips.